Cody Campbell. IMAGE: MDG Photography. John Payne is towing his horse and three buffalo to a rodeo in Canada when I call. "Let me pull over," he tells me, "so I don't get stopped for talking with my one hand and driving with my knees." Payne, 65, is a self-described "modern-day Buffalo Bill." Better known as the One Arm Bandit, the Oklahoma resident travels the U.S. with a halftime entertainment show tailored for rodeos. "Any rodeo that's big in Oregon, I've done," he says. Last year, attendees of the Sisters Rodeo watched Payne gallop into the arena at intermission, a shirtsleeve tucked into his blue jeans with one hand wildly cracking a whip. At the peak of the performance, he cajoled two massive buffalo to climb atop a trailer, then shimmied easily to stand on his horse's saddle—tipping a hat to the crowd as exclamations of "I'll be damned" echoed throughout the stands. Payne's thick drawl punctuates his gritty persona as he describes the accident that cost him his left arm—a heart-stopping electric shock sustained at the age of 20 while cutting wires to an electricity pole he thought wasn't live. "I started riding again a few weeks later," he says. "I was a working cowboy on a ranch. The riding was hard on my skin graphs; it stretched them. But they grew back just fine." 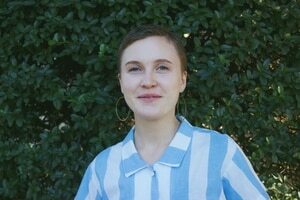 You'll be hard-pressed to find characters quite like Payne in Portland. But in outlying Oregon towns, he's one of a handful of colorful local rodeo celebrities. For those planning to venture outside the city this summer and attend one of the state's roughly 40 rodeos, he's someone to know. Here are four other stars worth name-dropping to boost your cowboy cred. Known for: Not falling off massive, angry animals that could potentially kill him. The Eastern Oregon native is ranked 32nd in the world in bull riding. The rules of the sport are simple—stay on a pissed-off bull for eight seconds while keeping one hand free from touching the bull or yourself and you qualify for a score. A four-member judging panel ranks both rider and animal and scores the ride on a 100-point scale. (The bull gets points for difficulty, the rider gets points for form.) Campbell, who grew up on a ranch in Summerville, Ore., rarely scores below 80 points. So far this year, he's raked in over $40,000 with winning rides. "I just work out some and try to stay fit," the 18-year rodeo veteran says of his training regimen. "I get on practice bulls every once in a while, to keep things rollin'." Some have dubbed bull riding the most dangerous sport in the world—a University of Calgary study counted 21 deaths at bull-riding events between 1989 and 2011. Campbell doesn't think about that before he rides—or anything else. "Right before you ride," he says, "there shouldn't be anything going through your head. You have to kind of clear everything out and react. Most of the time, if you're thinking, you're too late and you make a mistake and get bucked off." Worst injury: In 2015, Campbell was signed up to ride in 24 rodeos in 22 days. But at rodeo No. 5, an event in Reno, Nevada, he broke his leg. When asked if that's the worst injury he's sustained, he chortles. "I fractured my skull in Puyallup, Wash., one time," he says. "Broke both my ankles. Broke one leg and had two surgeries to put it back together. Broke an arm, collar bone, ribs, hands, feet, toes, fingers." 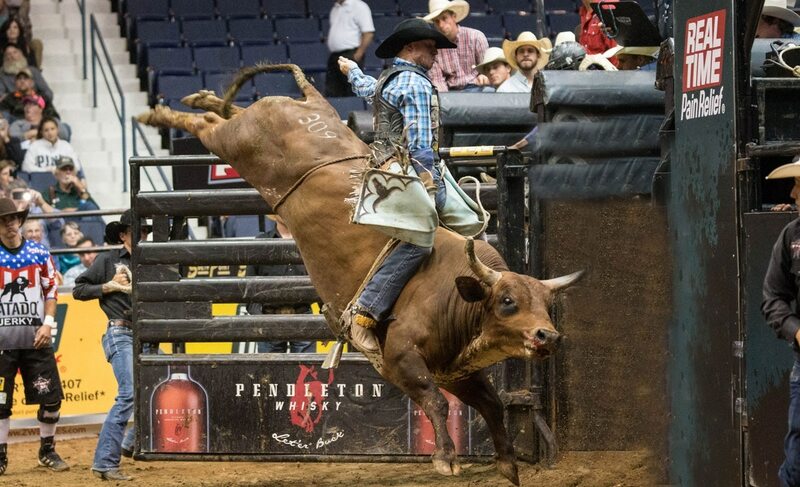 Where to see him: Banner Bank Pendleton PBR Classic, Sept. 10-11. IMAGE: Courtesy of Amber Moore. Known for: Speed. The native of Keizer, Ore., is the second-fastest barrel racer in the U.S., according to Women's Professional Rodeo Association standings. In barrel racing, riders spur their horses in a cloverleaf pattern around three barrels arranged in a triangle formation. The rider to complete the pattern the fastest, without knocking over a barrel, wins. Moore and her horse, Paige, complete this task in 13 to 16 seconds, depending on the size of the configuration. That's roughly 22 feet per second. 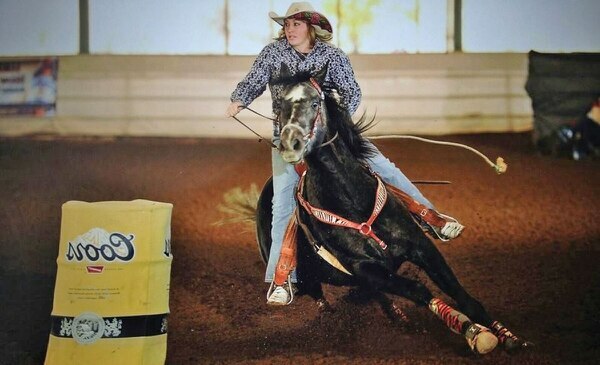 While she's been riding horses her whole life, she has been barrel racing for only the past five years. "I'm not there to drink and party," she says bluntly. "I get there, scope out the arena, take care of my horse and get ready to run." Worst injury: Moore was knocked unconscious at a rodeo in Fort Worth, Texas, last year when the cinch on her saddle broke, spooking her horse and throwing her to the ground. After coming to, she continued to ride in the final round of the competition and ended up placing ninth. Where to see her: St. Paul Rodeo, July 4; Molalla Buckeroo, July 1-4; Eugene Pro Rodeo, July 3-7. Known for: Being a distraction. Harrison keeps crowds entertained while riders get bucked off bulls and broncos and chased around the arena. "Anytime you're working with live animals," Harrison says, "there's going to be problems. The crowd can't know that, they need to be entertained. My job is to keep things moving." Harrison, formerly a middle school science and social studies teacher from Athena, Ore., has been clowning for over a decade. He says he's booked by rodeos, mostly in Oregon, 38 weekends out of the year. "I'm an athlete and I love competition and entertainment," Harrison says. "The great thing about the rodeo is I'm not the focal point, but when they need me, I'm invaluable." Worst injury: Unsurprisingly, Harrison says he's sustained almost too many injuries to count. The roll call includes hip surgery, three knee surgeries, 16 different broken bones and a torn shoulder. 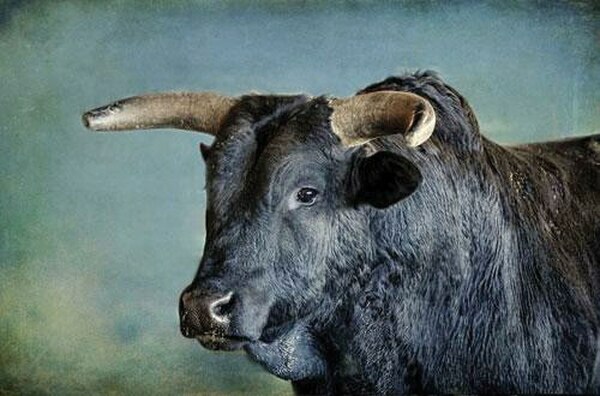 At a rodeo in 2010, Harrison hopped into a barrel to get out of the way of a raging bull—which rammed the barrel, catapulting it and Harrison out of the arena. "I rolled out the gate and everyone yelled, 'Goal!'" he says. 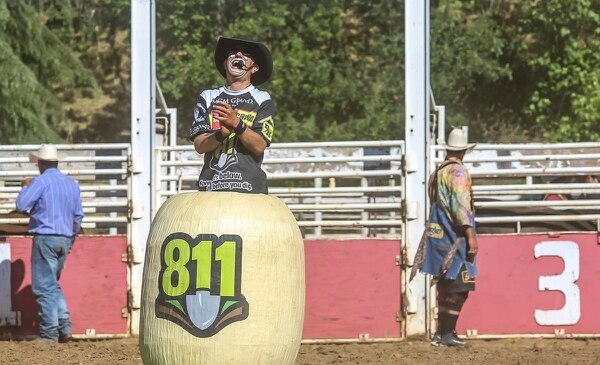 Where to see him: Central Point Wild Rogue Pro Rodeo, June 7; Canby Rodeo, Aug. 14-18; Pendleton Round-Up, Sept. 12-15. IMAGE: Courtesy of John Payne. Known for: Well, having one arm, and still doing crazy stunts on horseback. He describes his show as "raw cowboy ingenuity at its finest." 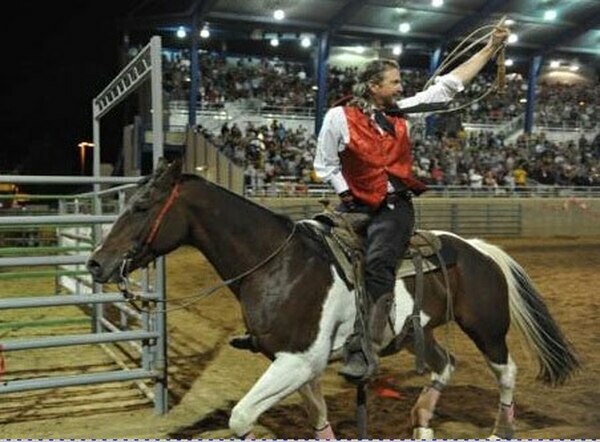 It's a roughly 10-minute act that features Payne riding his horse while cracking a whip, roping things, standing up on his horse saddle and rounding up ginormous bulls and buffalo to climb on top of a trailer. He does that all, of course, with one arm. At the beginning of each show, as Payne gallops in circles around the arena to shoot-'em-up country tunes, an announcer reads a prepared script. "The notorious One Arm Bandit was born to a rancher in the oil-rich town of Shidler, Oklahoma, on April 19, 1953," it begins, before describing the accident that cost Payne his arm. "The doctors wanted to cut off John's leg," the script continues, "but he told them, 'I can't ride a horse with one leg, and if I can't ride a horse, I don't want to live.'" Worst injury: Besides nearly dying 45 years ago and losing his arm in the process, he says he's broken his ribs multiple times after being pushed off the top of his horse trailer by his buffalo. Where to see him: Payne is taking a break from Oregon rodeos this year, but says he'll be back at the Sisters Rodeo next year. Known for: Bucking really hard. Pistol Whip was bred from a highly prestigious bucking lineage to flail cowboys to near-certain injury at rodeos around the Northwest. One video shows Pistol Whip—named Bull of the Year in the Northwest from 2014 to 2016—rearing out of his holding stall and easily flicking off a rider in one big leap. "You learn when you're around [bulls] that they're very prideful," says Dusty Howell, the bull's owner. "He's proud when he throws somebody off." Howell Rodeo Company supplies much of the livestock for Northwestern rodeos. "These animals are so well taken care of," he says. "When they're not on the road, they're out and running in 100 acres of 3-foot-tall grass. They're like professional athletes. You take them that far and they're so good, but they get old and have to retire. I want to let them retire on top." Where to see him: Roy Pioneer Rodeo in Roy, Wash., June 2-3; Vancouver Rodeo in Vancouver, Wash., July 4-7.